On the off chance that you exited something cooking on the stove and can't get once more into your home since you have a home lockout, what might you do? Call your Friendswood home locksmith to encourage you. Accessible 24 hours per day, 7 days seven days, we can get to your home rapidly and help rekey bolts with the goal that you can get once again into your home. We are a crisis locksmith that responds immediately when we get a client's call since we know how genuine being bolted out of house can be. In the event that your home keyless passage has stuck, we can make it work once more. Call us today and we will be there in a matter of seconds. When you are experiencing an automotive lockout getting help to get back in your vehicle is what you need. We can go anywhere our customers need help regardless of what part of Kemah, TX they are located. Once our locksmiths locate you, they will quickly use special tools to unlock your door. They will also get another key made for you right away. Our relationship is a full-service locksmith servicing the complete Richmond region in Tx and near by cities. We focus on your entire Lock Change needs which range from home requirements to the emergencies circumstances. 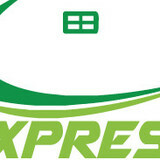 We expand a mobile service to businesses and those who need a car, house, or office services. Our specialists are fantastic, our locksmiths 24 hour are perfect in every service, set up, and repair of any hair and safes accessible to you over your day over summer and winter, we handle all types of contingency cases message or calls whether whether it's for your home, office, vehicle or industry. We is qualified and knowledgeable in every necessary areas. We could obliged to offering a swift, safe, and authoritative locksmith service for our customers. After you drive your automobile enjoying music later on as you happen to be work or for leisure, you do not foresee getting in touch with Car Locksmith Rosenberg TX for disaster services. But if someone happens to break your tips or if you lose them and can't drive home, you'll need us quickly. This how exactly we help our customers who end up facing such problems as Residential Lock Out. Our tools to uncover entrance doors are plenty regardless of which kind of hair you have. 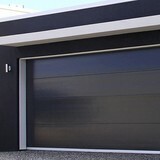 Garage doors and gates are valuable assets to a Houston, TX home’s curb appeal, security system and storage needs, so when they need to be repaired, it’s always smart to hire a local garage door repair professional. A Houston, TX garage door maintenance pro can fix a wide range of components, including exterior damage, parts, openers and weather sealing. What types of garage door service tasks do contractors in Houston, TX provide? A damaged garage door can lead to increased security risk, ruined belongings and an unpleasant exterior, so look for Houston, TX repair professionals who provide same-day or emergency services if the damage is extensive and poses a potential health and safety risk. Find Houston, TX garage door repair professionals on Houzz. Narrow your search for garage door repair professionals by selecting the nearest city or zip code. Look at portfolio and product photos, and read reviews to find the best garage door contractors in Houston, TX for your home.